The VideoPlayer program allows you select a sound or video file to play. In this program, you learn to use the JMF API to create a player that can be used to play sound (.wav) or video file (.mov, and .mpg) and add visual and control components to the player so user can see the movie and control the movie play . You can download JMF from http://www.sun.com website. 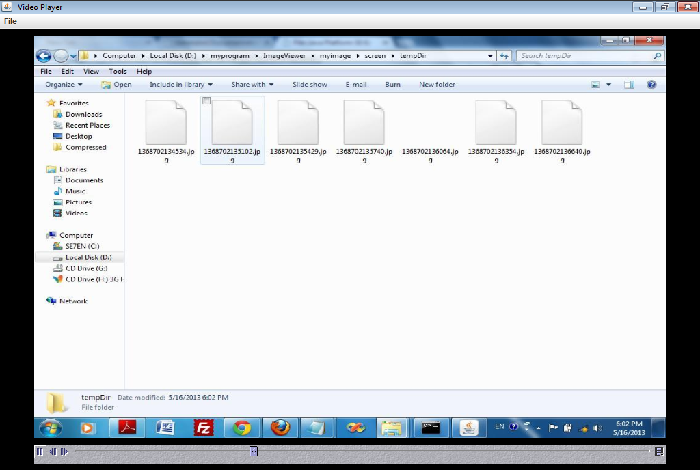 In the program code above, the JFileChooser component is used to allow the user to selection a video file to open. When the path of the video file is obtained, it is time to set up some components to play and controls the video play. 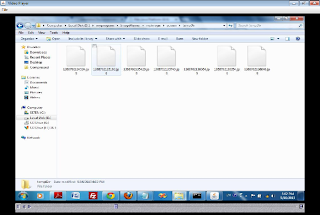 A video Player object is created by using the createRealizedPlayer method of the Manager class. Then the getVideoDimension is called to get the width and height of the input view frame. To get the dimension of the video, you need to create a processor that encapsulates the data source of the video file. The processor must be configured and realized properly before you can use it to access information about the video format. The getTrackControls method of the processor object returns all track controls objects found in the video. A track control object contains the video format object. This object contains information about the dimension of the video frame. You can get the dimension by using the getSize method of the video format object. When you have the size or dimension of the video, you can adjust the size of the visual component dynamically. The components to be added to the program are visual component and control panel component. The visual component shows the video while the control panel component controls the video play (play, stop, and change volume status, etc). When these components are successfully set up. You can call the start method of the play to start playing the video file. when i run this program in eclipse ,i got an errot like this "Could not find a player." even though linking all require .jar files . Seems like a perfect code to use but somehow I get this "Could not find a player" error as well. Probably I missed something out in the code but still seems like I a not the only one having this problem here.